NEW DELHI: Vellore Institute of Technology (VIT) has rescheduled its Vellore Institute of Technology Engineering Entrance Examination (VITEEE) 2019 common entrance exam dates due to the upcoming Lok sabha election. As per the new schedule, VITEEE 2019 will be conducted from April 10 to 21, 2019. 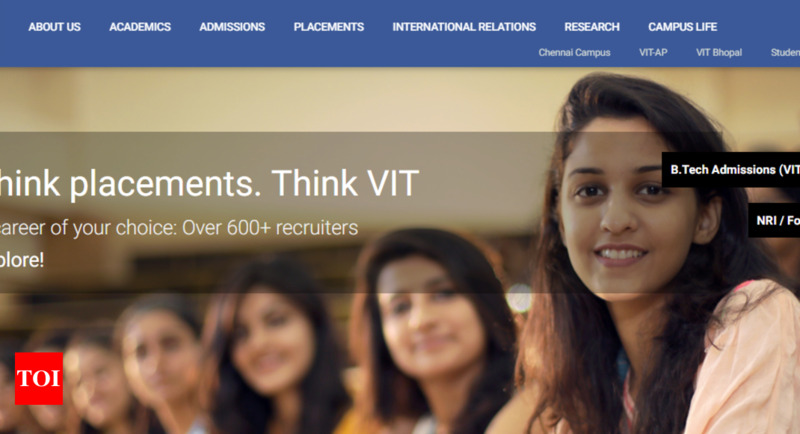 Candidates who have applied for the VITEEE 2019 can visit the official website of VIT- vit.ac.in- to check and download the exam schedule. The duration of the VIT entrance examination will be of 2 hours 30 minutes. The exam will be conducted as 3 sessions per day. The examination may be conducted in multiple sessions. However, a candidate is allowed to appear in anyone specified session (PCME/PCBE) only. Candidates are advised to refer www.vit.ac.in from March – 2019 onwards, for slot booking details. VITEEE is conducted for all those aspiring for a career in engineering which is a common entrance exam for VIT Vellore, VIT Chennai, VIT-AP and VIT Bhopal. Eligible candidates can select specific campus and course during counseling.